Five absolutely essential eye enhancers. 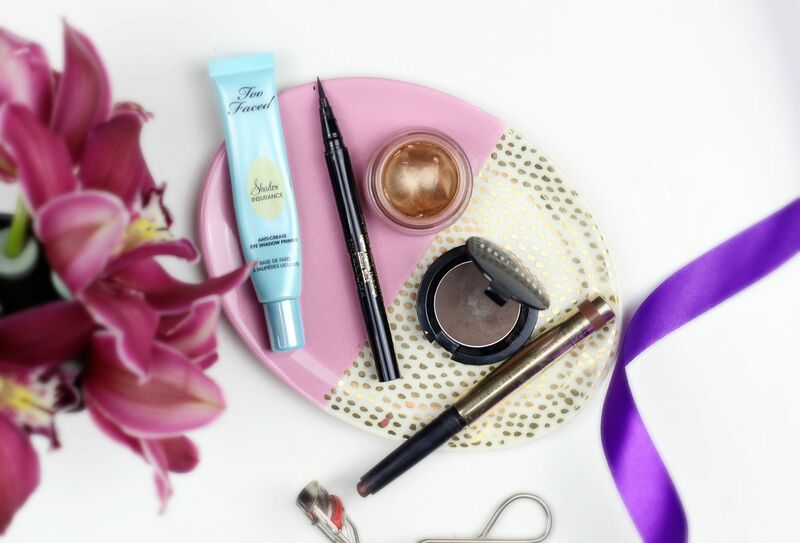 The best primer I’ve used is the Too Faced Shadow Insurance – it creates the perfect canvas for any eyeshadow and makes sure that anything you apply lasts all day. Eye primer lasts for ages because you need so little, but this is my second tube and I would forever repurchase. On top of that, I love using the MAC paint pot in Indian Ink. If you love a neutral bronze eye (who doesn’t? ), then you pretty much need this. I use this all over the lid basically everyday and then buff in a matte orange shade for definition. Easy. But, because I’m me and I can’t just use one cream shadow… I also love the By Terry Ombre Blackstar in Brown Perfection for smudging under the eyes. In fact, I did a whole post about that here. I like to kid myself that I can do a cat flick… Yup, definitely can’t, but I love the Stila stay all day liquid liner because it makes things ever so much easier. Really fine nib? Check. Inky and black? Check. Stays all day? Check. Whilst not technically an eye product, I have been obsessed with the Bobbi Brown long wear eyebrow gel lately, because it makes filling in brows so seamless. It keeps my brows looking relatively neat and looking slightly more…fleeked? Haha. Which products do you always go back to?